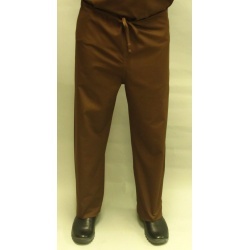 « previous page Authentic Lotus Workwear > CHARLIE- Flat front pant with inner drawstring. Flat front pant/ w inner drawstring. 2 patch pocket at back. Color Options: Black, Ink Blue, Grey, Turquoise, White, Coffee, Wine, Surgical Green.